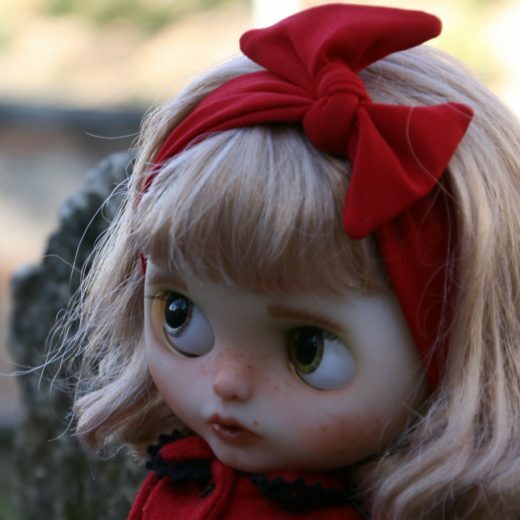 My name is Rosa Moliné, but in the world of Blythe, I’m known as SushiDolls. 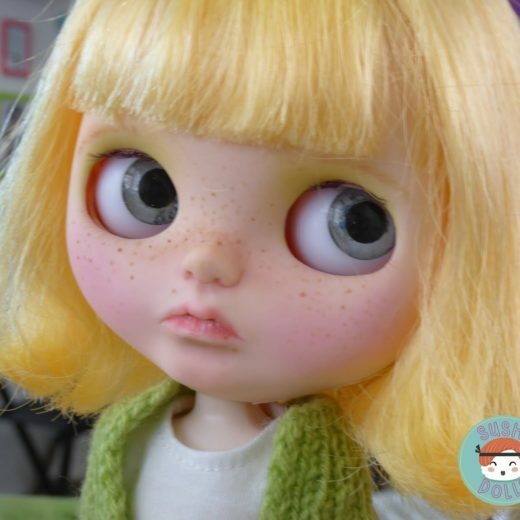 I like to take pictures of Blythe dolls and I also enjoy giving personality to these dolls by customizing them. I live in Granada, Spain, with my husband, who is a journalist and my cats, Darwin Totoro, and Salem Otokyo. They fill me and accompany me in life. 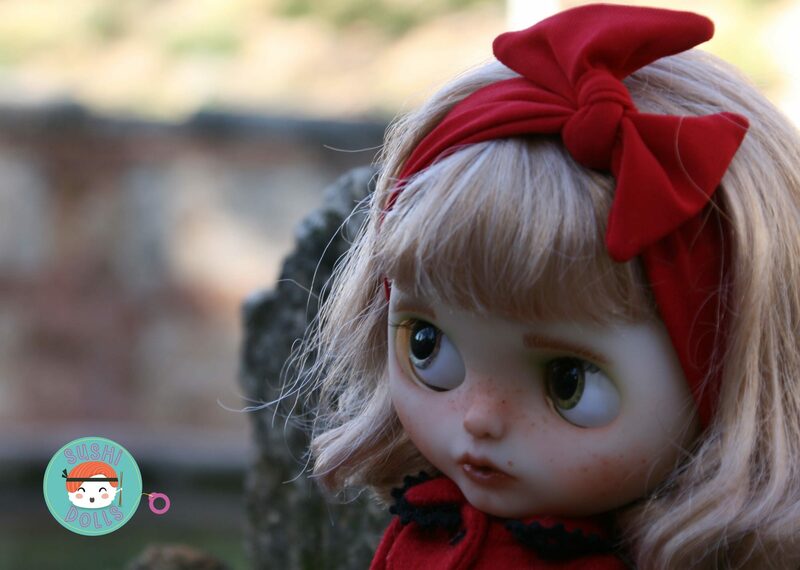 In Granada, my partner and I do a Blythe event, although other dolls are also present, it is called Granadadolls. I studied law and now I also do it at a distance to do the degrees of Psychology and Criminology. 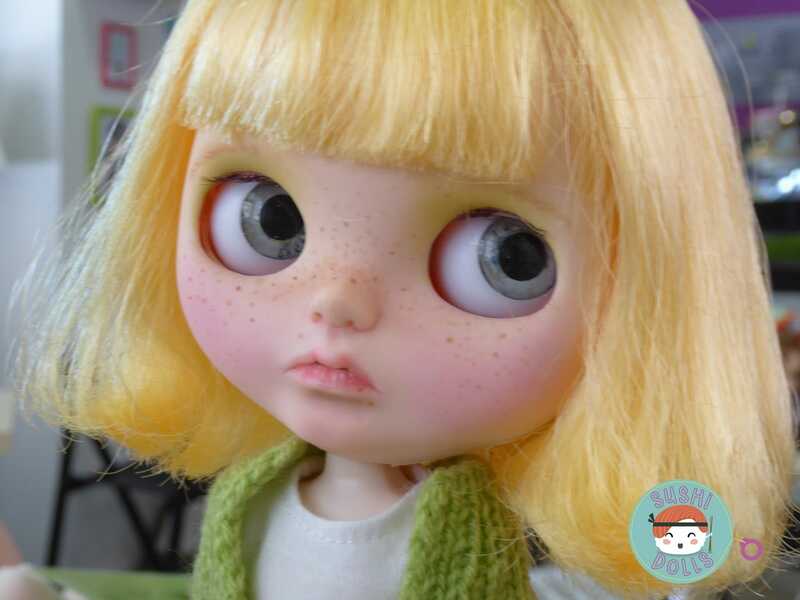 But I have always had artistic concerns and I think that’s why I like Blythe, because they are very expressive and make me develop my artistic side. 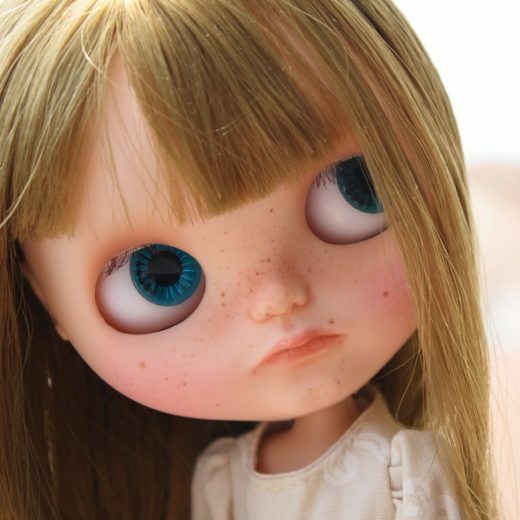 As soon as I saw these big-eyed dolls on television, I fell in love with them. Then I discovered that they were related to one of my favorite artists, Margaret Keane, and I understood why it was love at first sight. 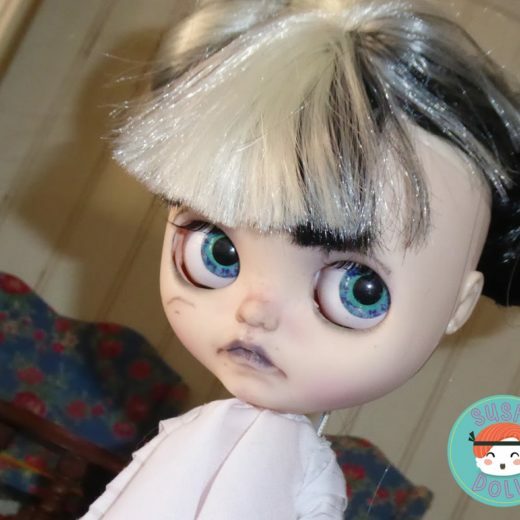 I’ve been customizing Blythe dolls since 2010, although I had forgotten it a little and I started with more force in 2013. I like to customize them as well as take photos, drawings and more. They are very expressive and everything that surrounds them draws my attention. 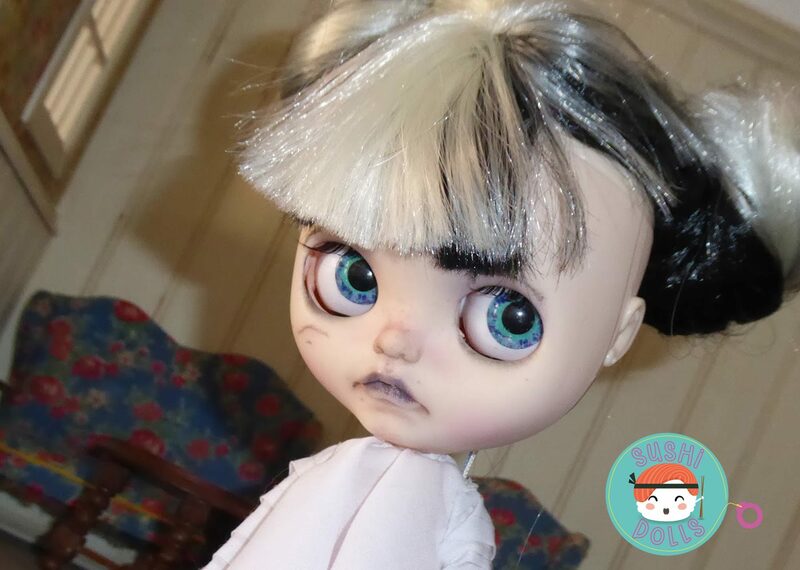 Each doll I customize is unique, has its personality and is made with a lot of love. 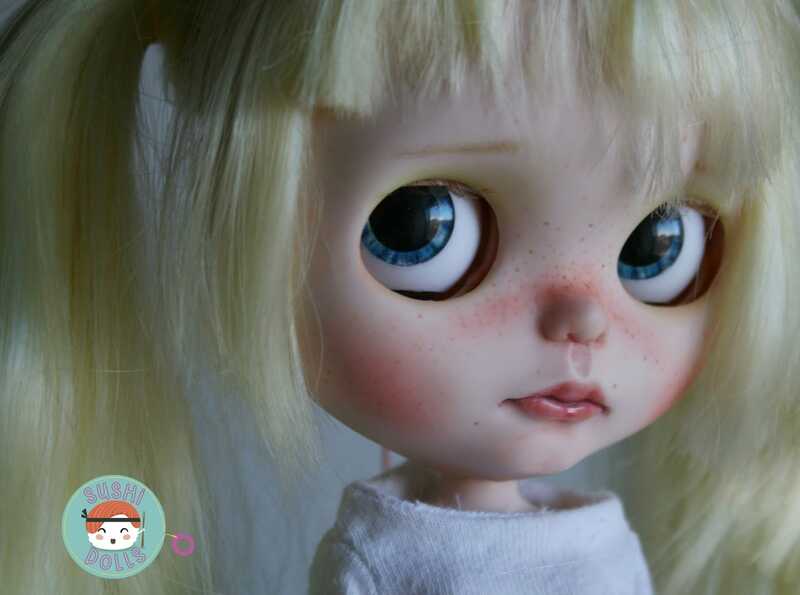 I like to make them realistic and sweet, but I also enjoy experimenting with them and I have created some Blythe vampire or ghost, even some Blythe boys. All my customizations are different and as I work in their modeling I never know what they will be like in the end. It is very funny that my little Blythe travels the world, there are dolls of mine in Malaysia, Japan, Germany, Spain, France … etc. 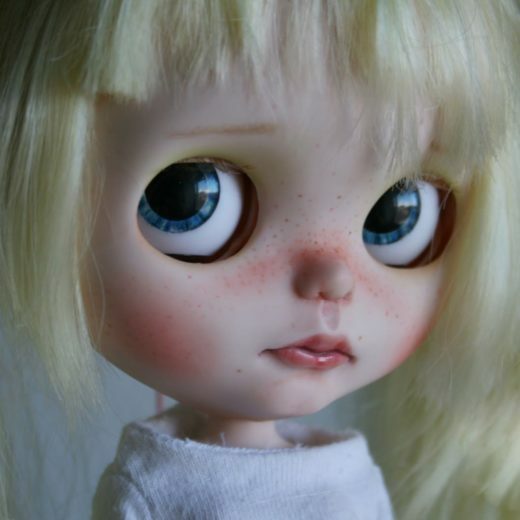 The customization of Blythe dolls I love and I like to do the whole process to give them their personality. 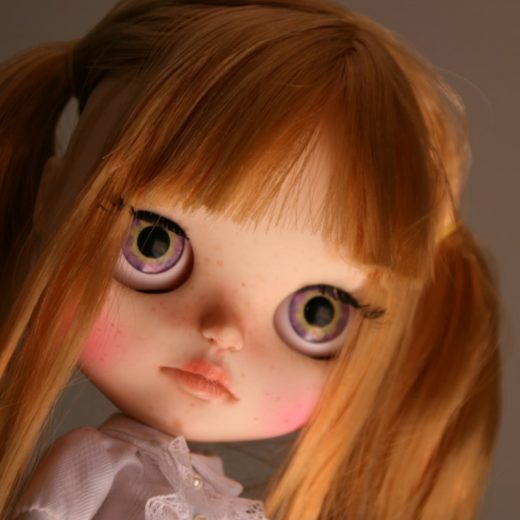 That is why I also make the eyes that they wear, the pull-string and other accessories for them. I am currently renewing my work with them because you always have to be in constant change. This is more fun and you do not get tired of working on the same thing.